Thomsonite-Sr: Mineral information, data and localities. 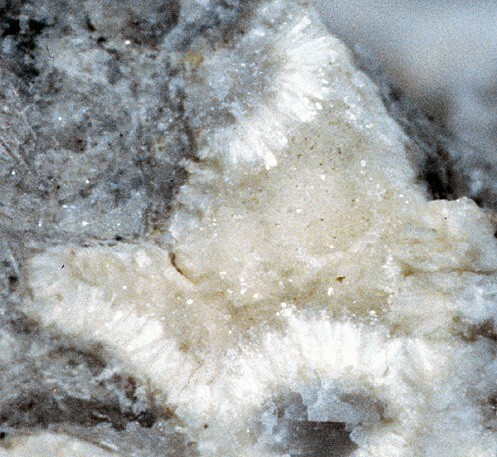 Named as the Sr-dominant analog of Thomsonite-Ca. 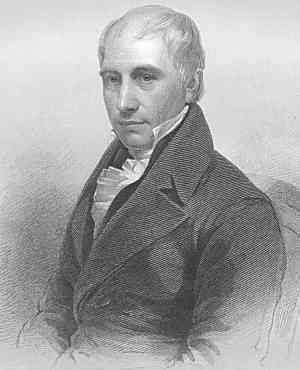 The root name thomsonite is in honor of Thomas Thomson (12 April 1773 Crieff, Perthshire, Scotland - 2 July 1852 Kilmun, Argyleshire, Scotland), professor of chemistry at the University of Glasgow. Thomson was an indefatigable mineral chemist and contributed enormously to the number of accurate chemical analyses of minerals during his career as well as having discovered many new mineral species. The strontium analogue of Thomsonite-Ca. Pekov, I.V., et al. (2001) Zapiski Vse. Mineral. Obshch., 130 (4), 46-55. Lee, Y., J.A. Hriljac, A. Studer & T. Vogt (2004b), Anisotropic compression of edingtonite and thomsonite to 6 GPa at room temperature: Physics and Chemistry of Minerals: 31: 22-27. Zapiski Vserossiyskogo Mineralogicheskogo Obshchestva: 130(4): 46-55. Doklady, Earth Science Sections (2001): 376(1): 101-104. www-jm.eps.s.u-tokyo.ac.jp/2002cd-rom/pdf/j038/j038-003_e.pdf. ; Shi, G., Harlow, G. E., Wang, J., Wang, J., Ng, E., Wang, X., ... & Cui, W. (2012). Mineralogy of jadeitite and related rocks from Myanmar: a review with new data. European Journal of Mineralogy, 24(2), 345-370. Miyajima, et al. (1999) Kobutsu-Gakkai Koen-Yoshi (Abstract of the Meeting of the Mineralogical Society of Japan), 93.